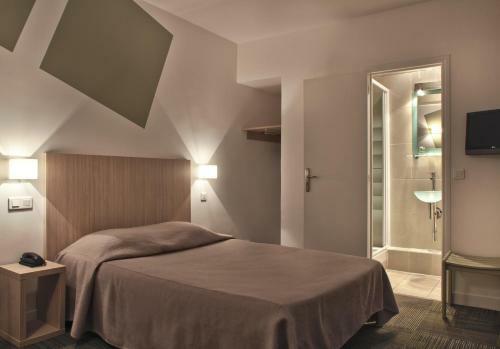 This hotel is located in Paris’s 16th district, 700 metres from the Arc de Triomphe. It offers en suite rooms, a bar and 24-hour reception desk. Free Wi-Fi is available throughout the hotel. 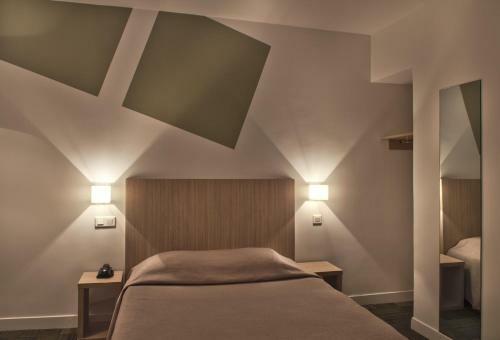 The soundproofed rooms at Hotel Angleterre Etoile are equipped with a telephone and flat-screen TV with Canal+. Guests have access to 24-hour room service. 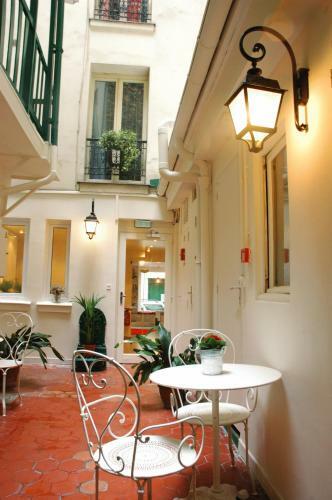 Angleterre Etoile is a 10-minute walk from the famous Avenue des Champs Elysees. Boissière Metro (line 6) is 400 metres from the hotel and Victor Hugo Metro (line 2) is 300 metres away. 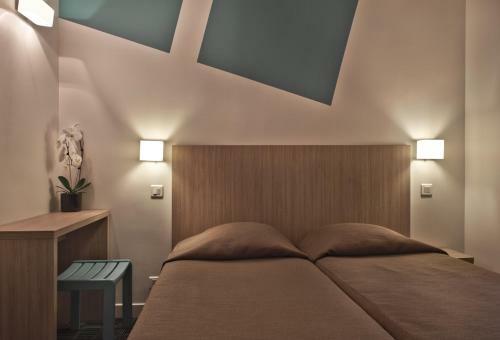 Please note that extra beds are not available but the hotel can provide you with extra mattresses which can be added next to the existing beds. 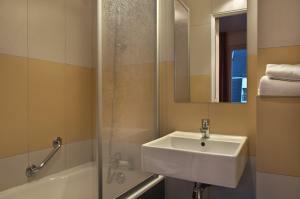 This room offers a flat-screen TV with Canal + channels and a private bathroom with a hairdryer. Free Wi-Fi access is provided. Rate: € 72.33 ... € 140.00; select dates below to get current rates.